As a yoga instructor interested in holistic treatments, DeWitt resident Suzanne Zalinksi said she was supportive of legalizing marijuana for medical reasons. “If people are really in pain, then they shouldn’t have any issue getting a medical card,” she said. But she’s worried the decision by Michigan voters on Nov. 6 to legalize marijuana use for recreational purposes may lead to an increase in use among minors. The proposal started to go into effect Dec. 6, although use by minors remains illegal. Increased underage use of marijuana was a concern regularly raised by opponents of the ballot proposal, but advocates for legalization say that hasn’t happened in other places. Research by the U.S. Department of Health and Human Services shows that high school use of marijuana in Michigan was only 34 percent, lower than the 39 percent the country had as a whole. 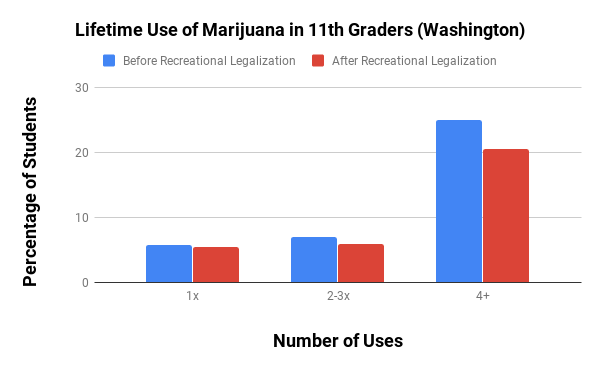 In Washington, which legalized recreational marijuana use in 2012, the Washington State Institute of Public Policy found that marijuana use by high schoolers declined since marijuana was legalized. Dr. Robert Townsend, whose Denali Healthcare practice provides medical certifications for patients, said he expects to see more older recreational users over teenagers and young adults. He also said that it might take a while before younger residents take part in recreational use. 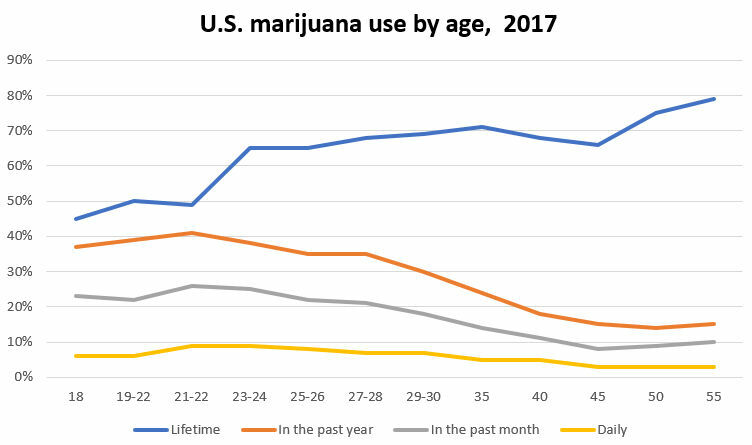 Research conducted in 2017 by the Monitoring the Future Project at the University of Michigan showed that about 79 percent of 55-year-olds had used marijuana in their lives, while less than 50 percent of people 21 to 22-years-old had ever used it in the life. Brandon June, a student from Central Michigan University, said he had never used weed and “probably never will” and that him being young was not a determining factor.